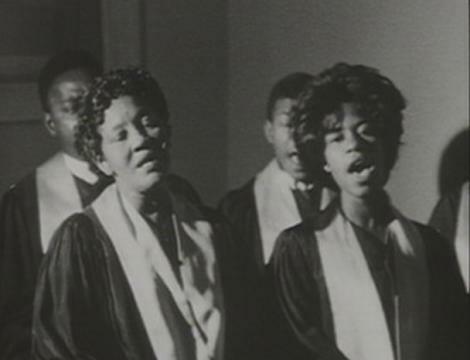 Historic Films' library of African-American Gospel music on film features 100's of performances spanning an eighty year period. From ground breaking performances by such legendary early Gospel icons as MAHALIA JACKSON, SISTER ROSETTA THARPE, SWAN SILVERTONES, and the DIXIE HUMMINGBIRDS to contemporary performance by KIRK FRANKLIN, EDWIN HAWKINS SINGERS and ANDRE COUCH. Historic also has hours of footage shot at Pentecostal and Gospel church services and revivals including rare footage of Daddy Grace and other important men and women of the cloth. Historic' Gospel footage has appeared in numerous documentaries and network programs. 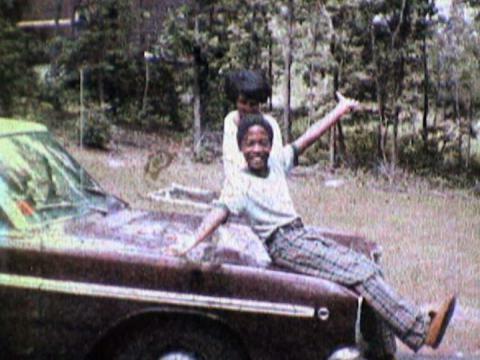 Over 50 hours of home movies shot by middle class African American families and business owners. The footage includes holidays, family events, nightclubs, lifestyles and events. Eight hours of material documenting the Beatles first US tour including interviews, concert performances, as well as the best screaming fans Beatle material ever shot. Available are interviews with young hysterical fans as well as some not so enthusiastic parents. The cameramen trailed the Beatles and shot footage on every step of their US tour. This material was recently discovered and we represent it exclusively. The only surviving all-black rhythm & blues, blues show is available through HISTORIC FILMS. Shot in color on 2" video in 1966, the 26 shows include electrifying live performances by Etta James, Otis Redding, Sam & Dave, Freddie King, Patti LaBelle and a virtual ‘A’ list of the top black artists of that time. Through the cooperation of WNET/Channel Thirteen, Historic Films is proud to represent important episodes from this ground-breaking 1960's-70's WNET program. Black Journal was a public affairs television program that began at WNET in 1968 and covered issues relevant to African-American communities. 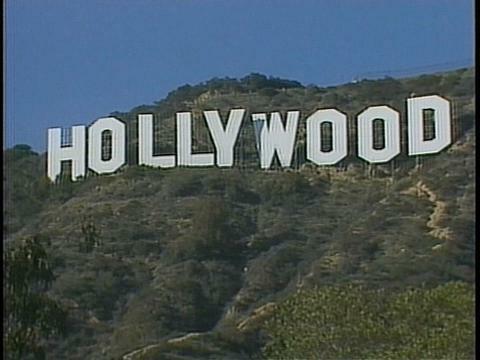 Film crews were sent to New York, Chicago, Atlanta, Detroit, New Orleans and Ethiopia. The show won Emmy, Peabody and Russwurm awards. Timely topics such as police brutality, urban renewal, racism, integration and radicalism were covered in detail, with extensive interviews with African-American politicians, musicians, artists and film-makers. 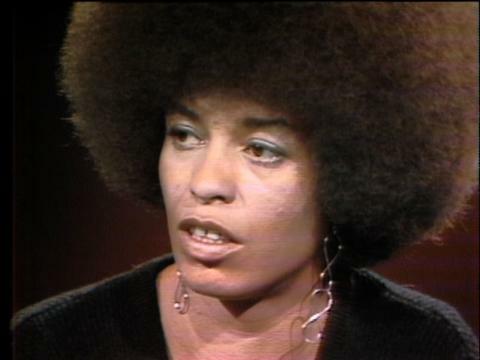 Exclusive interviews with such personalities as ANGELA DAVIS, STOKELY CARMICHAEL, ROBERTA FLACK, ELIJAH MUHAMMAAD, ALICE COLTRANE, MALCOLM X, MELVIN VAN PEEBLES and members of the BLACK PANTHERS are included in this historical collection. Renowned actor James Earl Jones hosted this one hour television series from 1973 offering live performances by some of the era's greatest African American musicians, dancers, writers and comedians. Appearances by the likes of The Spinners, Luther Ingram, Abbey Lincoln, Taj Mahal, writer Alex Haley, Richard Pryor and many others highlight this time capsule from the 1970s. The footage marks a time of racial pride and awareness. All programs have been digitized from the original source master. "Mack The Knife" singer Bobby Darin's 1973 Variety Show is now with Historic Films Archive! Bobby Darin, the 1950s-60s American hit-maker died tragically at age 37 in 1973. A few months before his untimely death,he hosted a 13 episode television variety series, THE BOBBY DARIN SHOW. Besides breathtaking performances by Darin, other guests such as Nancy Sinatra, Dusty Springfield, Taj Mahal, Peggy Lee, Freda Payne, Petula Clark, and many others perform live to a studio audience. Historic Films, through an arrangement with Shout Factory, is proud to announce its representation of CD:UK, the iconic British music television program which ran from 1998-2006. In its day CD:UK rivaled the BBC's long running Top of the Pops (which presented most of it's performances in lip sync). CD UK offered up to the minute chart information and extended live performances by all of its artists. For seven and a half years the show was broadcast live on Saturday mornings with a studio audience and featured performances and interviews with artists such as Britney Spears, Rihanna, Christina Aguilera, Pink, Oasis and hundreds of others. It also featured the Saturday Chart, which although was unofficial, usually reflected the new chart positions a day before the official chart was announced on the radio. 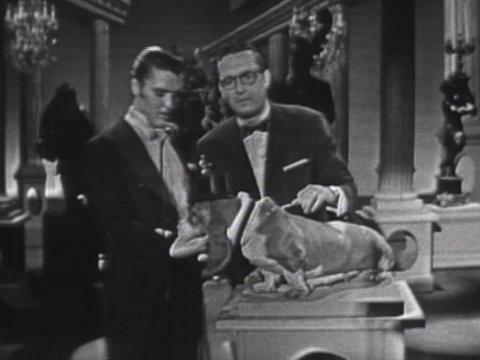 Besides the completed shows, Historic Films has unearthed hours of full live performances by many of the show's artists which were never used on the broadcasted programs. This extensively logged and instantly available Contemporary collection features one-of-a-kind red carpet appearances and sit-down interviews with Hollywood’s biggest name celebrities. Located on historic Beale Street in Memphis, Tennessee, the Center has long been a mecca for blues' scholars and documentary filmmakers as a source for early blues footage and footage of black every-day life. This collection includes the Reverend Taylor Library of black life (1939 to 1950), as well as several hours of Delta blues and gospel footage. 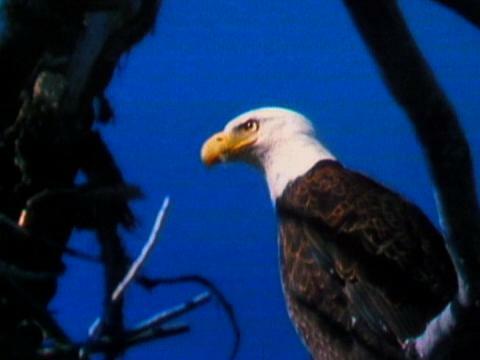 HISTORIC FILMS now exclusively represents footage collected and shot by the Center between the years 1930 and 1990. Much of this material is currently being included in productions by the Rock and Roll Hall of Fame and PBS. HISTORIC FILMS owns over 300 hours of classic sound and silent comedies. The films represent a cross section of the productions released by Max Sennett Studios, RKO, Pathe, Hal Roach, Educational Pictures, and other producers of short subject comedies from 1912 to 1947. A great source for footage of "slapstick" scenes, many of which have found their way into national television commercials. Comedians represented are Buster Keaton, Charlie Chaplin, Laurel & Hardy, Harold Lloyd, Edgar Kennedy, Leroy Errol, Mabel Normand, Fatty Arbuckle, and countless others. Over 10,000 legendary television commercials produced between 1948 and 1980. Every imaginable product available....from Chevys to Twinkies. 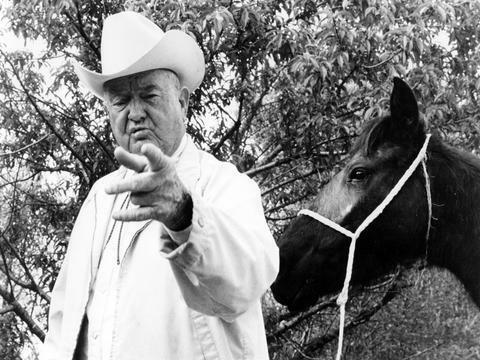 HISTORIC FILMS represents the great films of documentary film producer/director D.A. Pennebaker. 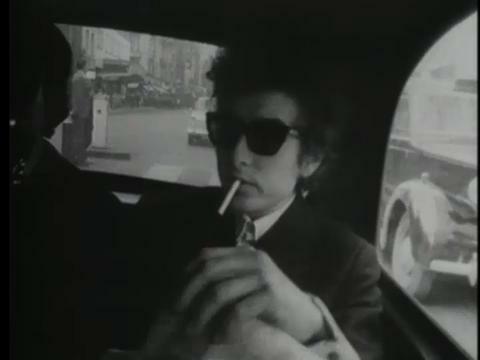 These films include "Monterey Pop," the first Bob Dylan film "Don't Look Back" as well as outtakes and incredible footage from many other Pennebaker projects. Fresh, unused, exciting image of a mega rock festival held in Dallas two weeks after Woodstock. Twelve hours of footage with such luminaries as JANIS JOPLIN, SLY & THE FAMILY STONE, LED ZEPPELIN and TEN YEARS AFTER, plus hundreds of thousands of enthusiastic fans. HISTORIC FILMS Archive stock footage library is proud to announce its EXCLUSIVErepresentation of OMNI 2000's Television archive of over 3500 1980s music programs. DANCIN' ON AIR (1981-87) - produced by Michael Nise in Philadelphia USA is one of the 1980s greatest music programs. Beginning in 1981 when the DISCO CRAZE was hustling to an end and the "New Wave" was upon us DANCIN' ON AIR presented the era's biggest musical stars and celebrities. DURAN DURAN, NEW EDITION, THE HOOTERS, THE JETS, and MADONNA.. .footnote: MADONNA made her very first TV appearance on DANCIN' ON AIR!!!! DANCE PARTY USA (1981-92)- another popular Philly based show produced by Michael Nise, this program is a window into the lifestyles, dances, fashions, celebrities, and MUSIC of the 1980s and early 90s. RUN DMC, MENUDO, SAMANTHA FOX, NEW KIDS ON THE BLOCK, PAULA ABDUL, LISA MARIE, THE JETS, JAZZY JEFF, DEBBIE GIBSON and hundreds of other celebrities and musical guests were featured on this legendary program. Footnote: KELLY RIPA was a regular dancer on the show!!! Other OMNI 2000 programs now available for clip licensing through HISTORIC FILMS ARCHIVE include 18 OR UNDER NOT ADMITTED, and ONE HOUSE STREET. Danish Broadcasting Corporation (DR) is Denmark’s oldest and largest media company. This collection covers everything from the Danish Royal family and hard news to some of the greatest music performances ever put on film: From intimate television performances by Johnny Cash, The Doors, Led Zeppelin, The Grateful Dead, Sister Rosetta Tharpe, Muddy Waters, Dizzy Gillespie, Ella Fitzgerald and Miles Davis to the legendary Rothskilde Festival with bands like The Cure, U2, Lou Reed and Nirvana. The David Steinberg Show was vaulted shortly after it aired in 1972 and has not been seen since it was unearthed by the Steinberg family in 2017! Since the late 1960's, legendary comedian, actor, writer and director DAVID STEINBERG has been EVERYWHERE . As a Stand Up Comedian, Show Host, Writer and Director he has won multiple awards (including two Emmy's) and continues to inspire as a Comedian and innovate as a Director (most recently on the multiple award winning Larry David show CURB YOUR ENTHUSIASM). During the summer of 1972 Steinberg hosted the CBS variety show THE DAVID STEINBERG SHOW and in 1976/77 the Canadian situation comedy program THE DAVID STEINBERG SHOW. Through the efforts of David and Robyn Steinberg HISTORIC FILMS is proud to offer excerpts from these two programs. Rare, early performances by JOHN CANDY, BERNADETTE PETERS, CARLY SIMON, JAMES TAYLOR, MARTIN SHORT and many others are featured. All now all digitized, logged and ready to roll! The David Susskind Show (1958 - 1986) was television's most ground-breaking talk/debate show. Susskind was the first to bring on multiple guests, whether they were political figures or call girls - together on a set to have no-holds-barred debate of current issues. Susskind's show was the first to offer wide-open, unrestrained conversation about issues of the day. Celebrities, politicians or regular civilians let their guard down and talked freely about themselves. Guests included Phil Spector, Neil Simon, Neil Diamond, Gore Vidal, Truman Capote, Nikita Krushev, Stanley Carmichael, Lillian Hellman, Bill Cosby, Mel Brooks, Marlon Brando, Steve Roebel, Robert Kennedy, Paul Newman and many more! In retrospect, the Susskind interviews are among the most in depth and intimate of their day. 1100 shows transferred from their original 2" video masters. Penelope Spheeris’ trilogy of ground breaking musical and cultural documentaries began with with The Decline Of Western Civilization; Spheeris’ eyewitness account of the vital Los Angeles punk scene circa 1979-1980, then The Decline Of Western Civilization Part II: The Metal Years; an extraordinary 1988 documentary about the hair-metal movement featuring and, 1998’s Part III about the hardscrabble lives of teenage gutter punks. All three films are exceptional, both as musical and as cultural documentaries. Historic Film’s, on behalf of SHOUT! FACTORY is proud to offer excerpts from this iconic series of documentaries to director-approved projects. All of the footage from these films are in the process of being logged and made viewable on Historic’s web site. Produced by Steve Marcus Productions in Miami, these wildly popular syndicated TV programs were the American Bandstand of the disco era. From leisure suits, platform shoes and Saturday Night Fever-style dancing, to the musical performers who defined the era, these programs captured the essence of the disco 70s. 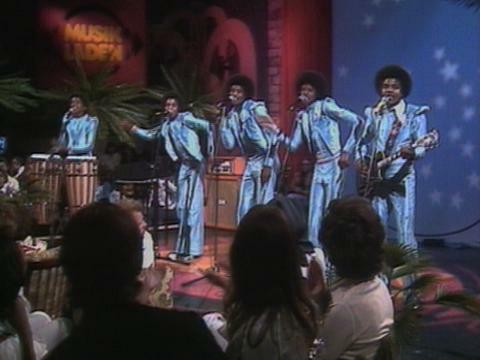 Artists appearing live on the show included Kool & the Gang, Gloria Gaynor, Andrea True, the Four Tops, The Commodores, and numerous other classic 70s performers. HISTORIC FILMS isproud to offer stock shots which will enrich any program dealing with 70s fashions, dancing, music, and attitudes. All programs have been meticulously restored and transferred from their original 2" masters. They are fully logged, copyright-cleared and ready-to-roll. In September 1973, Kirshner launched his own syndicated "Don Kirshner's Rock Concert." The premier, on September 27, 1973, featured The Rolling Stones, taped in London, in their first appearance on American TV in more than four years. The program featured many of the popular performers of the day during its run. Other notable guests included Rush, The Eagles, KISS, Foghat, The Ramones, Kansas and The Allman Brothers Band. Kirshner personally commissioned rock designer Jim Evans to create a special logo for the show. 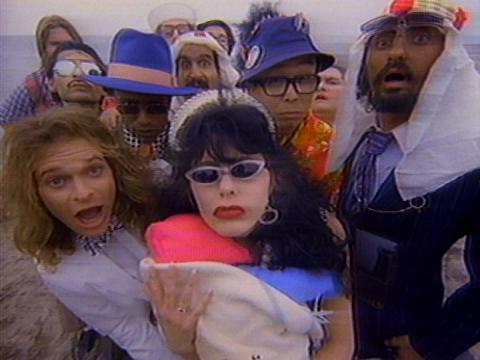 The show was a mainstay for its generation of young rock audiences who, for its 8 year run, religiously tuned in to its late Saturday night broadcasts. The show was hosted by Kirshner up till the last season. His on-air delivery was described as flat by viewers; Paul Shaffer would often lampoon him in a convincing impersonation on Saturday Night Live. In its final season, the show was hosted by Kirshner's son and daughter. HISTORIC FILMS has transferred all original 2 inch masters. 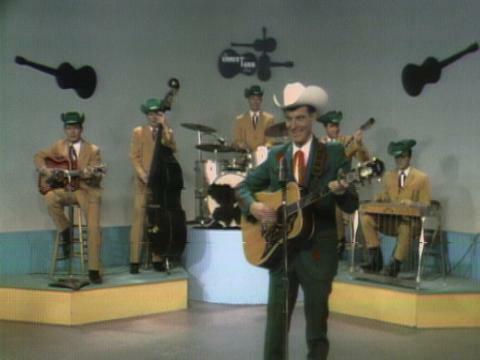 THE ERNEST TUBB SHOW is perhaps the greatest show of the early to mid 1960's- Nashville style! Beginning in 1948 as "The Toast Of The Town", the show was hosted by ED SULLIVAN and became America's most popular and enduring variety show for the next 23 years. His line-ups represented a virtual "who's who" of American entertainment. An appearance on the Sullivan show truly said to the American public that you were a star. - The Beatles, Elvis Presley, Buddy Holly, Barbra Streisand, The Rolling Stones, The Doors, the Jackson Five, the Everly Brothers, Rudolf Nureyev , the Muppets, Judy Garland - all of these performers and thousands of others owed some degree of their success to THE ED SULLIVAN SHOW. The Sullivan collection is also the largest resource for original cast Broadway productions. As these shows were generally running in New York just a short distance from the Ed Sullivan Theatre, through the years scenes from Broadway's finest dramas and musicals were played out on the show. This included original casts doing scenes from Camelot, Sound of Music, My Fair Lady, Brigadoon, Pal Joey, West Side Story, Stop The World..., Member Of The Wedding, Cabaret, Hello Dolly, Sweet Charity and Hair. 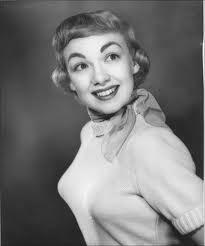 Besides being an era defining beauty and the MURIEL CIGAR GIRL in a fabulous series of commercials from the 1950s-70s, EDIE ADAMS, in her own right, was a Juiliard trained singer, model, Emmy winning actress and a first rate comedienne. She often appeared in skits with her husband Ernie Kovacs and between 1960-1961 hosted her own ABC network variety show THE EDIE ADAMS SHOW for which she received four emmy nominations. Guests included BOB HOPE, LOUIS ARMSTRONG, STAN GETZ, DUKE ELLINGTON, SAMMY DAVIS JR and many other icons of her generation. As a result of Edie's careful preservation of the masters from her and her husband's programs, Historic Films is able to offer excerpts from these important shows for use in all media. Mid 1960's Country Music Who's Who. This program hosted by the ambassador of country music, offered a rare one-of-a-kind performance by everyone who was making the country music scene during that era, including performances by a painstakingly young Willie Nelson. During the summer of 1970 popular rock bands The Grateful Dead, Janis Joplin and her band, The Band, Ten Years After, Flying Burrito Brothers, Sha Na Na, Stevie Winwood & Traffic, Blues legend Buddy Guy, Delaney & Bonnie & Friends, Ian & Sylvia and others embarked on a mammoth trip via private train across Canada. Along the way they stopped off at different Canadian cities and staged a series of "All Star" concerts. 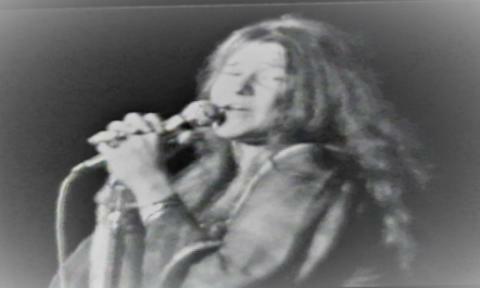 The footage, shot by Academy Award winning cinematographer PETER BIZIOU and directed by double Grammy winner Bob Smeaton, combines live footage shot during the 1970 concerts as well as footage aboard the train itself which captures legends such as Janis Joplin, Jerry Garcia and the Band's Rick Danko having a grand old time singing and partying along the way. A feature documentary was produced by Gavin Poolman (son of the original 1970's film's producer Willem Poolman) and John Trapman and released in 2003. Historic Films is currently digitizing close to 96 hours of ADDITIONAL concert and behind the scenes footage including the only known version of ME & MY BOBBY MCGEE as performed by JANIS JOPLIN accompanying herself on acoustic guitar. LEGENDARY!!! One of the industry’s most respected and well established stock footage libraries is now under the banner of Historic Films exclusively. This massive collection consists of circa 1980s thru to current, lifestyle, news, travel, beauty shots, landscape, sports and nature footage.Fully logged and ready for your next production. Recently discovered film footage of FLORENCE FOSTER JENKINS filmed 1934-41 at her famous recitals . The only known films of Mme Jenkins. 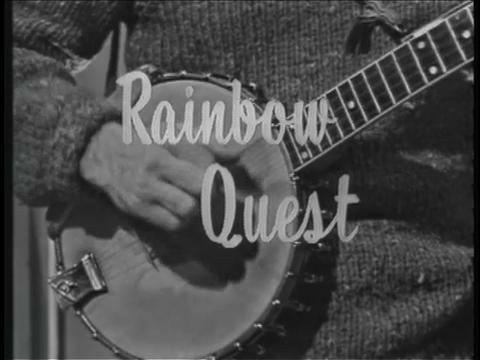 The most extensive collection of American folk music, folk singers, ethnic dance, and related lifestyle footage available anywhere is available at Historic Films.This library includes film by legendary cinematographer and filmmaker, George Pickow, which presents intimate images of some of the legendary performers within the folk genre. From beatnik-style all night parties at the apartment of Alan Lomax with guests such as Bob Dylan and Willie Dixon, to documentation of the boogaloo dance craze of the mid-sixties, and extensive coverage of the 1960's Newport folk festivals. This collection allows Historic Films to offer its clients some of the greatest moments in American music. The Glen Campbell Goodtime Hour was an American network television music and comedy variety show hosted by singer Glen Campbell. A vast collection of thousands of fully logged and copyright cleared feature films, cartoons, industrials, educational, newsreels and lifestyle films which have remained the core of the Historic Films collection since the company’s inception in 1991. We are proud to offer an extraordinary library of pristine footage shot between 1930-1955 of American cities and rural landscapes. The footage was photographed as establishing shots and "back plate" shots for use in golden era Hollywood films and short subjects. All the footage was photographed by top Hollywood cinematographers working in New York, Los Angeles, New Orleans and many other urban locations. The vintage cityscapes include extended stationary shots of certain street corners, restaurants and bustling department stores. It offers an amazing "slice of life" of the times. Besides the cityscape footage, the library also includes hours of western movie outtake scenes (cattle stampedes, Calvary charges, stage coach chases, establishing shots of rural towns,etc.) as well as rehearsals and outtakes of musical productions. A highlight is a screen test of Rita Hayworth's LEGS!! All shot in 35mm, the pristine nitrate negatives have been expertly transferred in high definition and the collection is currently being logged and added to Historic Films online database. A collection of one of a kind image shot behind the scenes during the golden age of Hollywood. Home movies from the collection of the great songwriter, Harold Arlen, (composer of music from "The Wizard Of Oz"), include rare glimpses of Hollywood parties, scenes of film production during the studio era, screen tests by legendary performers such as Judy Garland, Bert Lahr, Tyrone Power, John Barrymore, Barbara Stanwyck, Victor Mature and many others. One of the highlights of this collection is rare footage shot on the set of "The Wizard of Oz" including dance rehearsals by Scarecrow, Ray Bolger, as well as footage of production numbers never included in the completed film. Ira Gershwin, George Gershwin, Paulette Goddard, Irving Berlin, W.C. Handy, Jerome Kern and many others are recorded by the camera of Harold Arlen. Philadelphia's most popular DJ, Hy Lit hosted a local dance-party style television program throughout the 1960s and early 1970s. HISTORIC FILMS has painstakingly transferred the original 2" video masters of these programs and offers exerpts for stock footage usage. Represented in the library are all the popular dance crazes of the day, including The Twist, The Frug, and The Boog-A-Loo, as well as rare performances by Top Ten artists such as Otis Redding, Joe Cocker, The Four Tops, Marvin Gaye, The Young Rascals, Mary Wells, The Contours, The Commodores, and many, many others. The Isle of Wight Festival Of Music was held a year after Woodstock and stands out as one of the most memorable rock festivals of that era. The festival included performances by Jimi Hendrix, The Doors, The Who, Emerson Lake & Palmer, The Moody Blues, Joni Mitchell, Leonard Cohen, Miles Davis, Ten Years After, Jethro Tull and many others. Murray Lerner and his crew of cinematographers filmed the entire festival with multiple cameras. Over 400 hours of performances, interviews and "behind the scenes" events were captured. From 1987-2006 the musical variety program IT'S SHOWTIME AT THE APOLLO was filmed on stage at the legendary APOLLO theater. Each weekly episode presented live performances by some of the most popular black musicians, singers and comedians of the day including DONNA SUMMER, BEASTIE BOYS, LIL' KIM, DESTINY'S CHILD, PUFF DADDY, FAITH EVANS, BIGGIE SMALLS, MARY J. BLIGE, MC HAMMER, NATALIE COLE as well early glimpses of some up and coming talent such as LAUREN HILL ( appearing at age 13 and is booed by the notoriously TOUGH Apollo audience) who competed in the show's weekly "Amateur Contest",one of the Apollo Theater's infamous long running traditions. In 1962, legendary comedian and television star Jackie Gleason created a variety format television show with his American Scene Magazine. (The official title of the show was The Jackie Gleason Show.) In its first year, Gleason's ratings killed the competition. 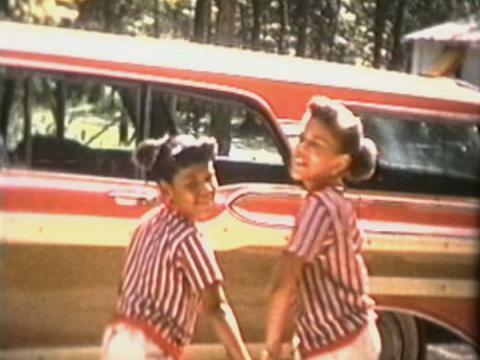 Jammison Handy's brilliant technicolor and black & white industrial films for America's giant corporations, GM, Bell Telephone, Coca-Cola, preserve the finest classic image of Americana available anywhere. From a 1957 Chevy rolling off the assembly line to a perfect family back-yard barbecue, the Handy Collection is a testament to the industries & dreams that made America great. The Jam Handy Company was the subject of a recent book by Diane Keaton. The image of the American dream, as interpreted by the Handy films, are truly the dream of products that everyone in America could own at that time. The social importance of this collection is slowly being realized by filmmakers like Keaton and we expect much more attention to be given to these images in the future. November 22nd 2013 marks the 50th anniversary of the assassination of President John F Kennedy, a turning point in American history. HISTORIC FILMS has digitized a one-of-a-kind library of interviews. The interviews were shot in 1988 with over 30 Kennedy associates, witnesses and friends. All of whom recall in striking and moving detail their memories of that fateful day. Interviewees include TV reporter Sandor Vanocur, civil rights figure James Hood, Kennedy friends Libby Smith, Jack Valenti and Joffrey Ballet founder Gerald Arpino, Isaac Stern, Senator George Smathers, Vender Huevel and many more. This show, which ran on television for 40 consecutive years, is in The Guinness Book of World Records as the longest running talk show. There truly will never will be another program quite like it. Its host Joe Franklin was in many ways the pioneer of the modern TV Talk Show format. Joe Franklin is one of Television and Radio's most durable and beloved personalities ever, and is truly a New York legend. In addition, he is considered one of the world's leading authorities on "Nostalgia". Through the course of The Joe Franklin Show he has interviewed an astonishing 300,000+ guests! For a time Joe employed Bette Midler and her accompanist Barry Manilow as his in-house singer. Woody Allen, Dustin Hoffman, Barbara Streisand, Bill Cosby, and Liza Minnelli are among the world's great talents who got their first exposure on The Joe Franklin Show. There was also a great uniqueness about the program. On any given night you might find a world renown artist sitting next to a balloon folder from New Jersey! Joe Franklin's lovable and funny persona even prompted comedian Billy Crystal to imitate him on NBC's "Saturday Night Live" for four years. While only about 700 of the thousands of shows exist, Historic Films is in the process of transferring and logging all of the existing programs. One of the most comprehensive nature collections available, this series provides thousands of gorgeous wildlife images direct from color film negatives. More than seventy hours of beautifully photographed wildlife footage depicting the animals in their natural habitats. Whales, wildebeests, kangaroos and koala bears... from aardvarks to zebras... nature's wildest creations are all on display in beautiful color. From the early 1960s until 1975 Little Walter Devenne dragged two sound movie cameras to early Rock N' Roll shows at venues in New York and Brooklyn including The Fox Theater, Paramount Theater and Academy of Music. His prime focus was R&B and Doo Wop vocal groups as well as early rockers such as Fats Domino, Screamin' Jay Hawkins and Gary U.S. Bonds. 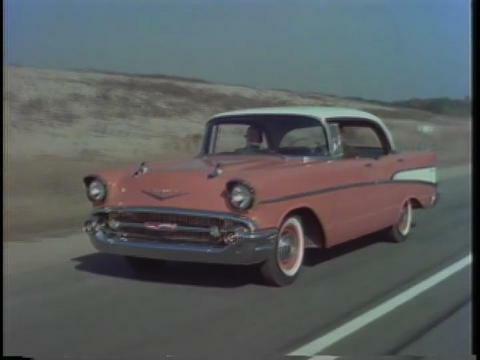 Extremely rare color and sound footage shot up close in the orchestra pits of groups such as The Cadillacs, The Five Keys, The Elegants, Five Satins, Jive Five, The Earls, Ben E. King and The Drifters just touches the surface of this amazing one-of-a-kind collection of early rock n' rollers and vocal groups. Little Walter's collection includes the only known vintage footage of R&B and Rock 'N' Roll's earliest hit makers. 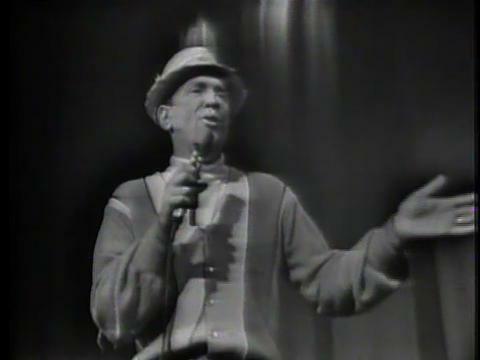 This 1968 musical variety series shot in New York's legendary folk club, The Bitter End, features hundreds of live performances by that era's most famous folksingers, comedians, and rock bands. 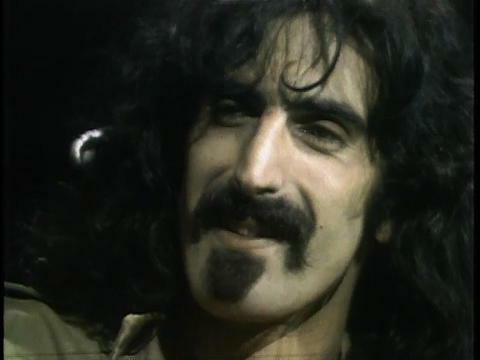 Some of the artists include Frank Zappa, Mothers of Invention, Richie Havens, Carly Simon, Country Joe and the Fish, Janis Ian, Marvin Gaye, Woody Allen, Dustin Hoffman, Maria Muldauer, Melanie, John Denver, Kweskin Jug Band, the Staple Singers, and Kenny Rogers' First Edition. Carl Simring was a young man connected to the “A list” of 1960’s rock promoters and musicians. Several of Carl’s friends were involved in the organization of the original Woodstock Festival. 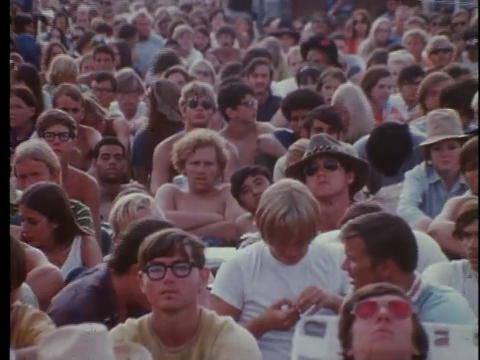 These friends allowed Carl a prime spot on the Woodstock stage to film what ever he chose during the three day festival . Using his Sony Portapak CV220, considered the first mobile video camera, he filmed away all weekend. The result is an astounding alternate library of Woodstock performances, many of them preserved ONLY by Carl and his Sony Portapak. Electrifying performances by THE WHO, JANIS JOPLIN, GRATEFUL DEAD, CREEDENCE CLEARWATER SLY & THE FAMILY STONE, MOUNTAIN and several others were filmed by Carl, most of which never making it to the “Woodstock” Warner Brothers film or any of it’s companion releases. Historic Films is proud to offer this one of a kind glimpse of this historic 1960’s cultural event. Through an EXCLUSIVE arrangement with Metropolis Video, Historic Films is proud to announce its representation of this important collection, featuring concerts filmed at the legendary CBGB music club in New York City. From its opening in 1973 CBGB was the forum for American Punk and New Wave bands. During their early years performers such as Patti Smith, Television and The Ramones performed at CBGB regularly. Very little performance footage from the club scene of the mid-1970's is known to exist making the Metropolis library an important document of that era of musical history. 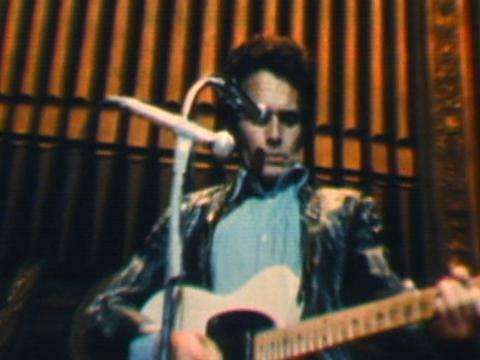 Early concerts by Blondie, The Talking Heads, The Heartbreakers and Richard Hell and several others (all shot in 1975) were captured multi-camera on black and white open reel 1/2" video. Along with the performances, which feature remarkably good audio, you can hear the audiences screaming with the raw passion and vitality that was indicative of the Punk and New Wave era. The library was shot by seven filmmakers in their early twenties who worked together at Manhattan Cable's public access operation. They managed to convince Hilly Kristal, the owner of CBGBs, to let them shoot performances at his club. The group descended into the chaos of CBGBs with a multi-camera, live-switched, live-mixed audio/video system and against all odds, produced some of the best documentation of the New York Punk Rock music scene that exists today. All of the footage is currently being logged and transferred and will be available for research and licensing on the Historic Films website in the coming days. 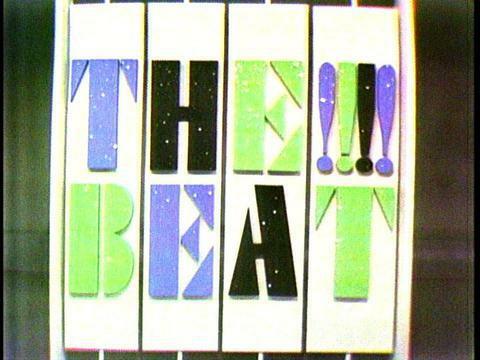 The first, “Its What’s Happening Baby” changed the face of television in 1965. It combined Rock & Roll, exterior locations, and black, white, and Latino performers during a two-hour show that thrilled a generation of teenagers... and outraged the U. S. Congress. Other performers on the program included Jan & Dean, Mary Wells, the Dave Clark Five, Cannibal and the Headhunters, Gary Lewis and the Playboys, The Supremes, Patti LaBelle, & the Bluebelles, The Drifters, Smokey Robinson & the Miracles, Ray Charles, Marvin Gaye, The Ronettes, The Righteous Brothers and Little Anthony & the Imperials. The second film from 1967 “Murray The K In New York”, was a one hour color television special featuring Murray and his guests that included, The Doors, Aretha Franklin, Otis Redding, The Associates, Richie Havens and many more. This collection includes over 10,000 music videos circa 1978 - 2003, including all of the major artists and songs of the first MTV generation. Since the late 1950s, the NEWPORT FOLK FESTIVAL has been the premiere live-event which encapsulates every form of American and world folk music. From the legendary Pete Seeger, Bob Dylan, Joan Baez, and Peter, Paul & Mary, to Mississippi John Hurt, the Carter Family, and Muddy Waters, all of these artists and hundreds more have appeared at the annual folk festival in Newport, Rhode Island. Historic Films' Newport Folk Festival library has hours of one-of-a-kind footage from several years of this illustrious festival. 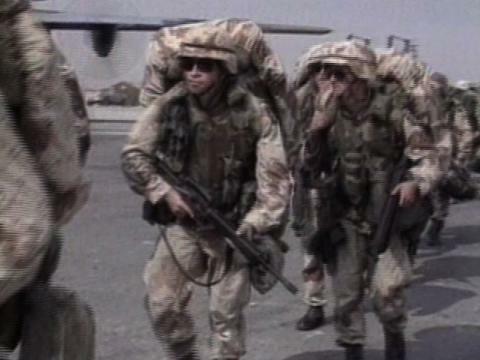 Presenting over 400 Hours of military and combat footage, this collection includes interviews with soldiers, generals and political figures active during Operation Desert Storm.The collection also includes an array of military training films. Produced in the 1950's and made up primarily of earlier newsreel footage, these shorts were the first source for "crazy invention" and daredevil stock footage. 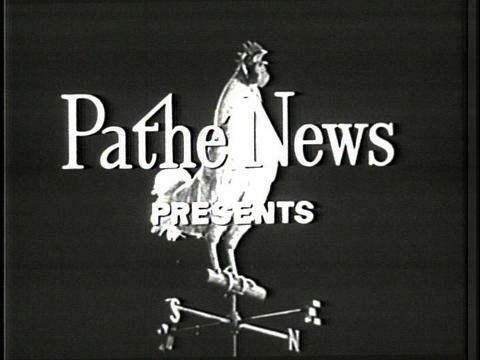 Perhaps the greatest of "oddity" footage, these shorts are still constantly used today and are the staple of funny and wacky archival stock shot image. Over 1200 diverse musical performances shot between 1949 - 1954, including popular singers such as Gail Storm, Teresa Brewer, Peggy Lee and Mel Torme, as well as country music legends, vaudeville personalities and Black artists such as Nat King Cole, Count Basie and Sarah Vaughn. HISTORIC FILMS currently holds the 35mm negative. Rare early footage shot at the legendary Apollo Theater documenting the great Black artists of its day, including Big Joe Turner, Amos Milburn, The Larks, Duke Ellington, and Cab Calloway. A journalistic approach to historical newsreel footage, similar in structure to today's "60 Minutes" series, this collection includes rare footage of historical events from 1895 - 1960. Other collections included are the Frank Fontaine Show and the Captain Edward Grief series. 237 individual 4 minute mini-documentary films with footage taken from the original PATHE NEWSREEL'S covering specific iconic events of the first 50 years of the 20th Century, from PEARL HARBOR, DUST BOWL, OPENING OF THE GOLDEN GATE BRIDGE, WRIGHT BROTHERS, etcetera. 237 4 minute films of iconic original footage taken from the PATHE NEWSREEL'S covering famous people of the first half of the twentieth century - from FDR, to Hoover, to Mussolini and hundreds more. HISTORIC FILMS is the exclusive representative of this folk music show hosted by Pete Seeger - a who's who of the folk scene in the early to mid-60's. Comedian Red Skelton hosted an Emmy winning comedy/variety show from 1951up until the 1970s. Besides Skelton's classic comedy routines many guest stars were on hand to sing, dance and perform in comedy skits with Red. In association with SHOUT! FACTORY, Historic Films offers clip licensing for the first nine years of the series. Since the mid 1970s the Rhythm & Blues Awards has honored black recording artists for their achievements in the music field. Featured in this collection are live performances by artists such as Barry White, Gladys Knight & the Pips, the Funkadelics, Michael Jackson and Sarah Vaughn. Produced by John Jackson for WAQT Productions for more than ten years, the program was an annual event much anticipated by the record industry. HISTORIC FILMS now exclusively represents the clip rights for the Jackson-produced programs as well as his mid-70s program, "Ebony Affair". 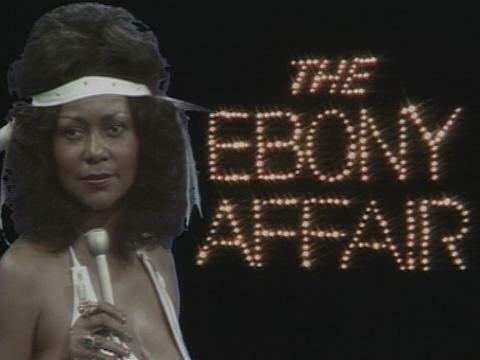 From 1973-77, Ebony Affair was a nationally syndicated 1/2 hour music series which presented a stellar array of contemporary black artists performing their hits. The roster of talent was more than equal to the program's well known competitor, Soul Train. Rockpalast is Western Europe's most popular and longest lived live Rock Concert program, having started in 1974 and continuing to this day. Hundreds of rock and jazz bands have performed on Rockpalast. From 1977 into the 21st century, once or twice a year the program would schedule all-night marathon shows called "rocknights", which - at least up to around 1990 - were telecast live across much of Western Europe, and which would go on until 4am or later. In the fall of 1971 Kenny Rogers & the First Edition became hosts of their own television series, Rollin’ on the River (later shortened to Rollin’). It was a successful variety show that was taped in Canada. It geared itself towards rock, blues, and folk performers and groups. 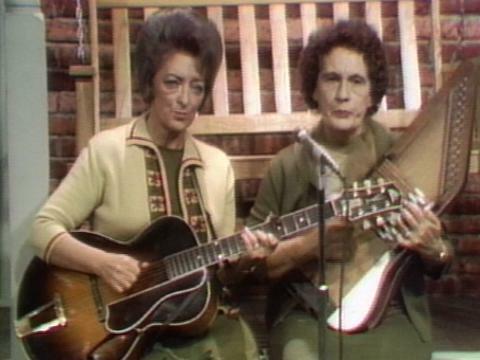 Unlike other variety shows of the time that featured show tunes and Vegas style performances, this series focused on harder-edged guests like Ike and Tina Turner, Blues legends like Bo Diddley, and up and coming performers like Jim Croce. Historic Films is proud to announce its exclusive North American representation of the innovative and extensive British footage source Screenocean. The Screenocean libraries include UK's Channel 4 and Channel 5's program archives, the RMP music performance collection, Clips and Footage Archive and a host of other important British archives. We are proud to announce our acquisition of over 15 hours of home movies shot by the Sidney family during the 1970s and 1980's. This remarkable collection offers a glimpse of middle class African American family life from the later part of the 20th century. Vacation time, holidays and other family events are all captured in this collection. The success of Don Cornelius' African American dance party show Soul Train spawned several local imitators through the years. Washington D.C.'s Ebony Affair (1971-1973) was one and Cincinnati had its own, Soul Street!. Hosted by Kenny Smith, Soul Street! survived two seasons and offered great performances and interviews with artists such as James Brown, Gladys Knight & the Pips, Bill Doggett, Carla Thomas, Roberta Flack, The Stylistics, Millie Jackson and many others. Historic Films is proud to offer licensing of performers from the only surviving episodes of this early African American music variety show. All episodes have been restored from the only surviving 2" master tapes. Through the cooperation of WNET/Channel Thirteen, Historic Films is proud to represent this important ground-breaking WNET program from the 1960's and 1970's. This late 1960's series, hosted by STEVE ALLEN, traveled the country filming various summer music festivals. A diverse range of American music genres is covered at historic festivals such as the New Orleans Jazz & Heritage Festival, Memphis Blues Festival, Aspen Music Festival, Smokey Mountain Folk Festival and many others. Rare performances by such iconic performers as JONI MITCHELL, ARLO GUTHRIE, BILL MONROE, THE DOORS, COUNT BASIE, BUKKA WHITE and many others are seen performing for their fans with no interruptions. Pure music - un-cut and live! Historic Films has recently renewed its agreement with Chicago's WTTW to offer clip licensing on the legendary live music series Soundstage. Dynamic performances by legendary artists such as Aretha Franklin, Bob Dylan, Jim Croce, B.B. King, Harry Chapin, Muddy Waters, The Bee Gees, Bonnie and many others, from over 135 shows, have been digitized and are now available for licensing through our interactive website. Florida's station extensively covered local, national and world events news. Filmed in black & white until 1968 and in rich color thereafter. The Telenews Library is one of the most extensive news/slice of life collections available anywhere. 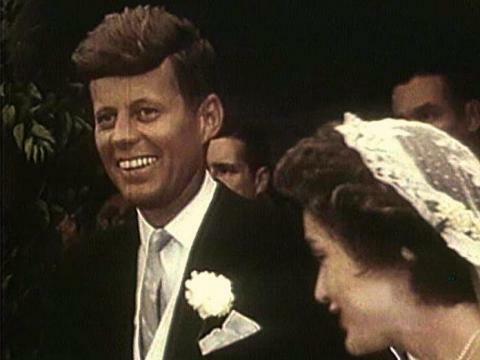 Thousands of key national events such as the space program, Civil Rights movement, weather disasters, presidential elections, JFK assassination, war on poverty, and Vietnam are covered with fresh footage. Unlike other news collections the Southern Telenews Library also has extensive coverage of local events as they occurred in Northern Florida. Small town parades, proms, homecomings, local scandals, arrival of famous celebrities, local elections, local crimes and events offer a rare glimpse of true Americana as it existed between 1958-1977. 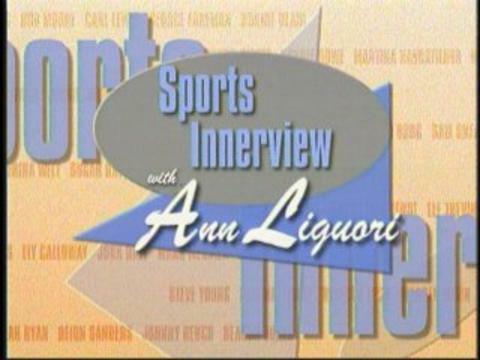 Ann Liguori, as a leader in the sports broadcasting and marketing industries and owner/host of the award-winning "Sports Innerview with Ann Liguori" weekly television series, is seen on regional sports networks throughout the country. The show has aired since 1989 (Mickey Mantle was her first interview) and the show is the longest-running weekly sports show on cable hosted, owned and produced by a woman. Ann has acquired a library of over 600 half-hour interviews on video with legends in sports, entertainment and business. Liguori has become one of the top interviewers in the business and is known for asking tough questions in a respectful way. As a producer for many of her shows, she also books the top names and is able to secure some of the most difficult interviews. And on many of her shows, she plays golf with major stars - while simultaneously interviewing them - using golf as a "window into the souls" of her guests. From 1958 until 1978 THE STEEL PIER SHOW was broadcast by WPVI TV 6 live from the CASINO THEATER, THE GOLDEN DOME BALL ROOM and other locations in Atlantic City. 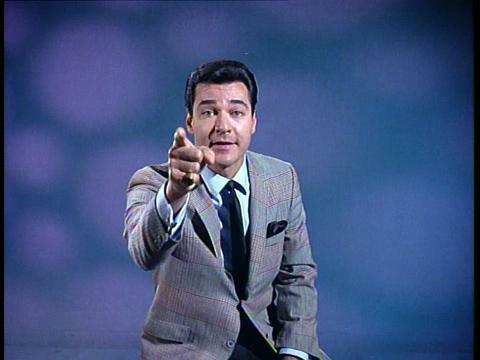 Second only in popularity to Philadelphia's AMERICAN BANDSTAND the show, hosted by long time Philly DJ and TV host ED HURST, ran summer seasons for 20 years and presented a fabulous array of performers from Tony Bennett to The Jackson 5. Virtually every performer working in Atlantic City at the time payed a visit to the STEEL PIER set. Historic has digitized and logged all 70 existing shows. Newly discovered classic performances by , HALL & OATES, TONY BENNETT, SOLOMON BURKE, THE JACKSON'S, and a young JOHN TRAVOLTA are now available and ready to roll for the first time in over 35 years. A special thanks to LOU REDA PRODUCTIONS for making this wonderful music library available to us. Every Sunday night on NBC from 1954-61, Steve Allen presented the era's funniest and best comedians, top musical groups, hit performers and most popular celebrities. Everyone from Elvis Presley, Jerry Lee Lewis, Jack Kerouac, the Cadillacs, Bob Hope and hundreds more appeared and performed on the Steve Allen Show. It was the foremost variety show of its day. Allen's great wit, musical talent and sense of humor made the Steve Allen show one of the greatest shows of television's golden era. Filmmaker, Lynn Barkley was a key figure in the New York City club scene during the 1970s. In 1978 he extensively covered "The Scene" at the legendary Studio 54 and Xenon nightclubs. The collection intimately documents the partying, disco dancing and absolute decadence of the era with interviews and footage of major celebrities who were in on The Scene. Rosie the Riveter, Victory Gardens, the Battle of the Bulge and signing of the Peace Treaty. Produced before TV, these reels provided the news-hungry, movie-going public with incredible and accurate footage of World War II. Transferred from 35mm negatives, Historic Films offers this historic collection in its entirety, fully logged and copyright cleared. 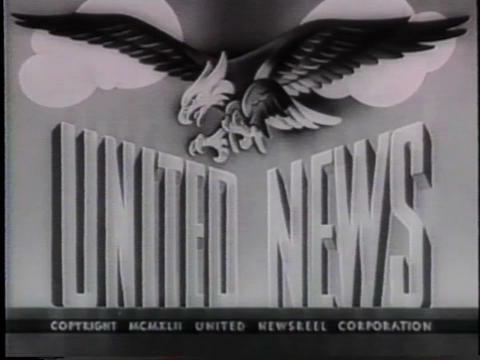 The United News only existed during the War years 1942 to 45 and was specifically used to inform and reassure America of our military advances during the War. (20 hours). 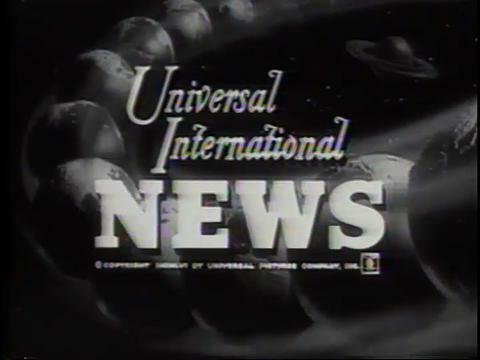 The Universal Newsreels competed with Fox Movietone and other bi-weekly newsreels to inform America of its current events during most of the pre-television movie-going years. Each bi-weekly issue includes fads, fashions, news and public interest stories of the day. The two festivals also included large air-conditioned tents featuring the US Festival Technology Exposition— a dazzling display of then-cutting edge computers, software, and electronic music devices. Also making a debut were installations of "out-door rain" - perforated pvc nozzles that sprayed water to fight the fierce hundred degree heat. "It was the day new wave died and rock n' roll took over" - Vince Neil, in a famous quote regarding the overwhelming attendance on Sunday, "Heavy Metal Day", at the '83 US Festival. It set the single-day concert attendance record for the US with an estimated 375,000 people. Showtime recorded the event and aired a 90-minute special for each day of the festival. All of the hundreds of hours of performance and interview/behind the scene footage is available through our website. From 1985 until 2003 former New York Daily News photographer Joseph DeMaria ran V&P News Service. Armed with high quality video cameras, former Daily News photographers, police radios and "arrangements" with New York's finest, V&P New Service were the first responders to many of the city's most lurid, grizzly and important news stories. From drug arrests, murders, hostage situations, political rallies, bombings and acts of terror (extensive 9/11 footage included) V&P News Service were the first ones to show up and were given unfettered access to the crime scenes. They licensed their exclusive footage to local news stations and networks around the world. If you have seen the recent movie "Nightcrawler" you get the picture. Historic Films has purchased this extensive archive and is in the process of digitizing and logging the material. Check it out at historicfilms.com! Since 1982, Vidicom has been as multi-media content provider specializing in lifestyle features. Through their team of journalists and producers they have extensively covered health, technology, entertainment news, fashion and home styles. Vidicom also acts as the pool camera for fashion shows in New York and Paris. In June, Vidicom launched its new brand, Stylewiz, with monthly feature stories on NBC's "Early Today," CBS's "Early Show," and weekly reports on ABC Radio. The library, over 9000 tapes, extensively covers lifestyles and the fashion world from 1982 to present. Extensive footage of the Worldˆs fashion industy is covered in the Vidicom collection including one of a kind interviews with fashion icons as Donna Karen, David Cameron, Oscar De La Renta, Geoffrey Beene, Mary McFadden, and Bob Mackie. 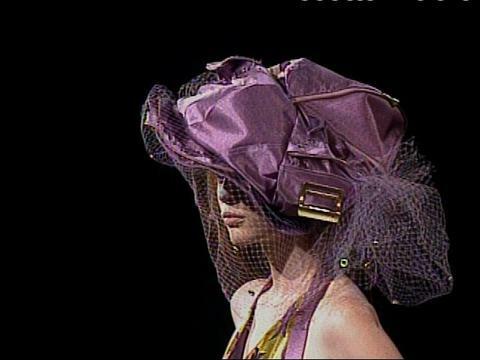 Vidicom provides extensive coverage of early fashion events and shows from the world top designers. Also a great source for celebrity and lifestyle footage, the Vidicom collection includes informal footage of George Clooney, Madonna, Susan Sarandon, Gwyneth Paltrow, Cindy Crawford, Iman, and Naomi Campbell. Founded by Mark Balsam and Julian Schlossberg, Westchester Films has revived and restored over 500 classic motion pictures. Westchester Films library includes many films by John Cassavetes, such as Faces and A Woman Under the Influence, Academy Award winner STAGE COACH (1939, John Ford), A NIGHT IN CASABLANCA (Marx Brothers), 52nd Street, Quadrophenia, ORSEN WELLS’ Othello, cult classic Hells Angels On Wheels, Alfred Hitchcock’s FOREIGN CORRESPONDENT, and 100s of other classic titles. Historic Films it’s exclusive representation of clips rights to many of the films in the WESTCHESTER FILMS library. All titles are currently being transferred in high definition and clips will be viewable for on Historic’s website later this spring. 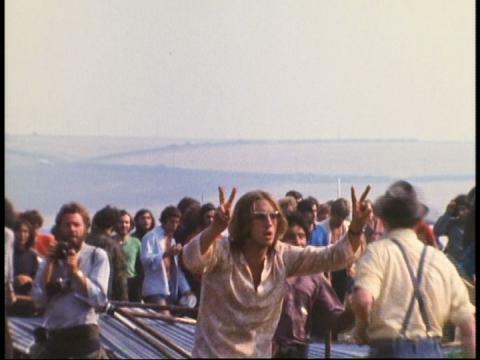 Collection includes overage of the ORIGINAL Woodstock Festival, perhaps one of the most defining moments of 1960's pop culture, as filmed in 16mm color by Amalie Rothschild. This collection includes rare backstage footage as well as performance footage by artists who did not appear in the acclaimed Warner Brothers film. Also included is unusual footage of the Fillmore East and many other Rock & Roll palaces during the music's heyday in the 1960's.